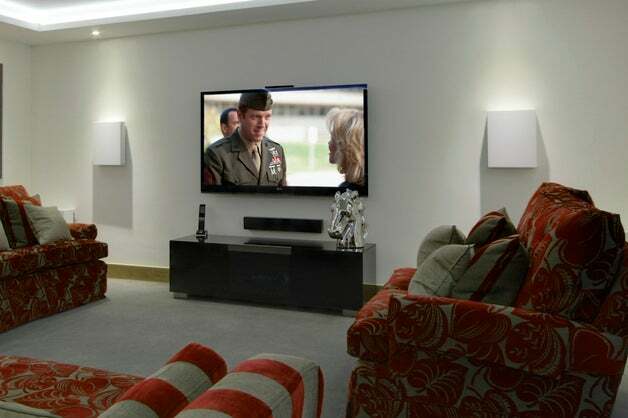 Artcoustic’s installation of the month for January is a lounge system installed by Mercury AV. This is a great example of how Artcoustic can deliver stunning performance in a lounge space without filling the room with technology. This is a real-world installation that would be perfect with modular, target or diablo loudspeakers, but in this case Artcoustic 40-30 SL 4-2 are used for the left and right channels for even higher performance. A C-1SL completes the clean and uncluttered aesthetic, with two panel sub micros delivering the dynamics essential for any high performance system. The 40-30SL is one of Artcoustic’s most popular products, delivering performance that never fails to suprise. The compact dimensions, just 40cm by 30cm, make it discrete and practical, and the various configurations allow the system designer to get the performance required for any application. The 40-30SL is available in 4-2, 6-3 or full range configurations.